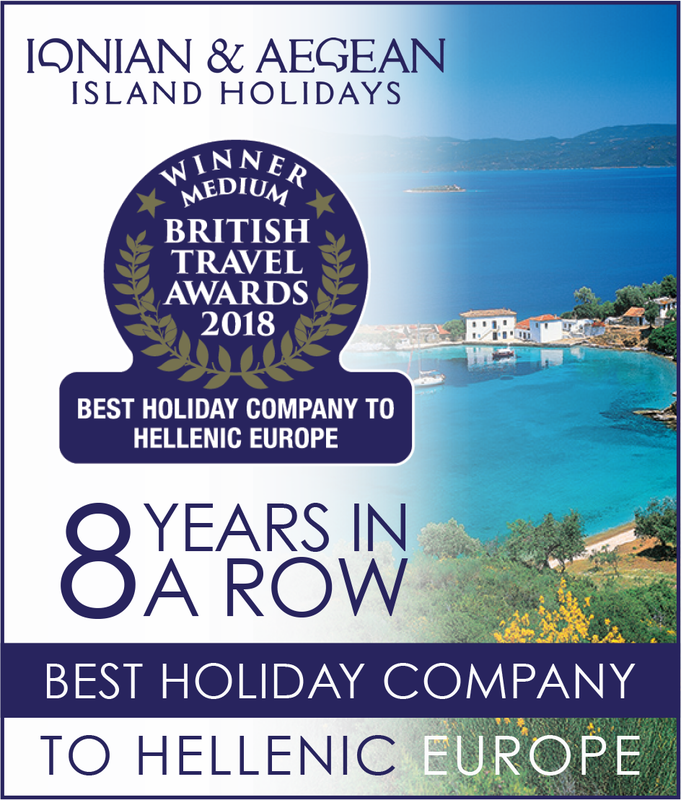 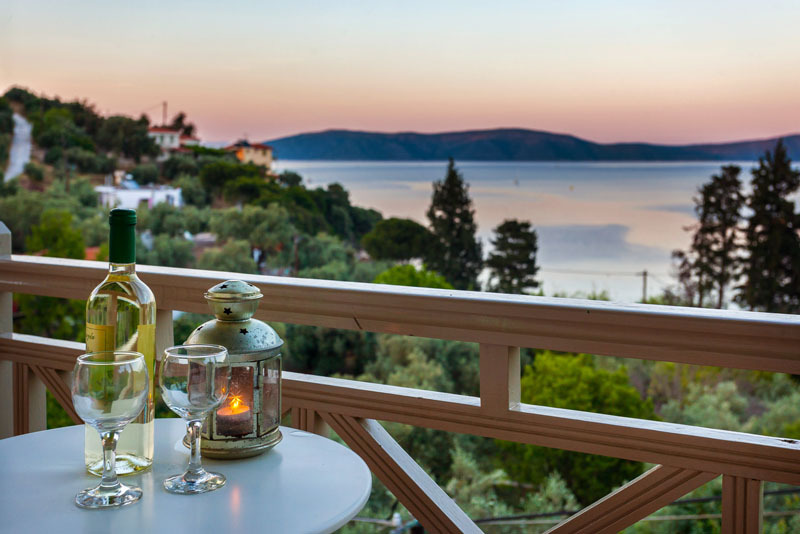 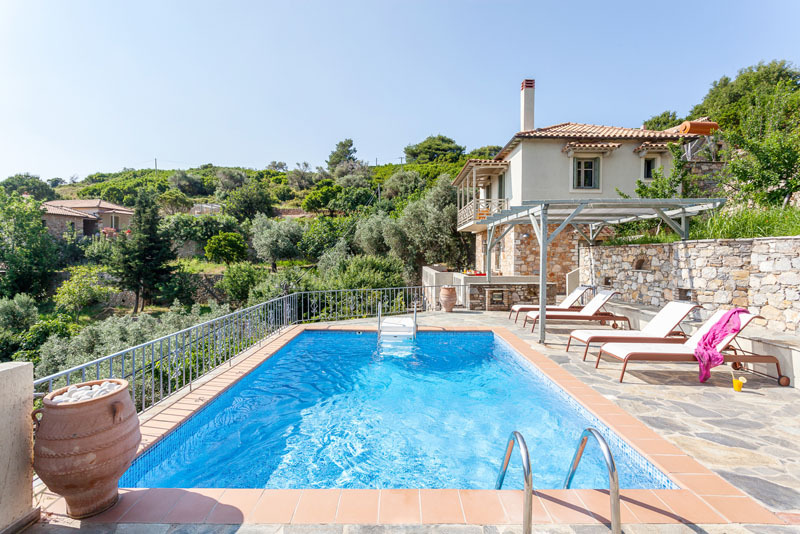 There is only one main road on Alonissos, which twists and turns through woodland and olive groves as it follows the sea on the east coast of the island with tantalising views at every bend. 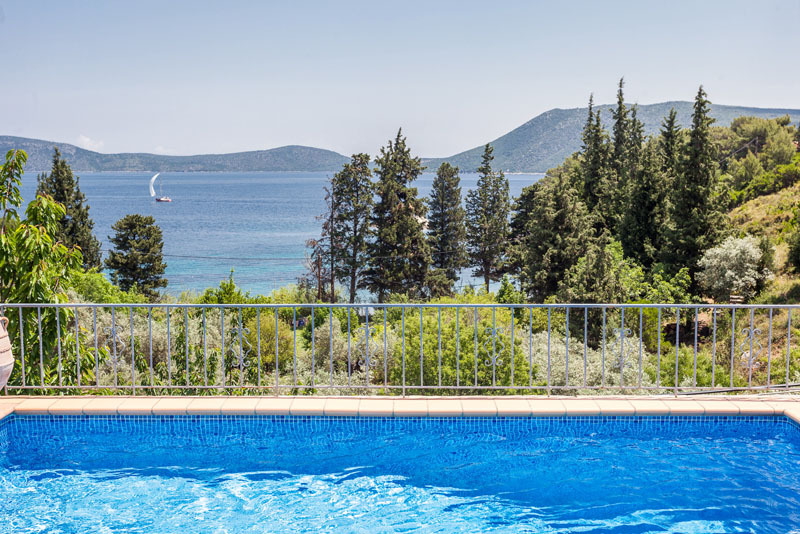 Only at the picturesque Steni Vala opposite the uninhabited island of Peristera, is there anything more than a cluster of houses. 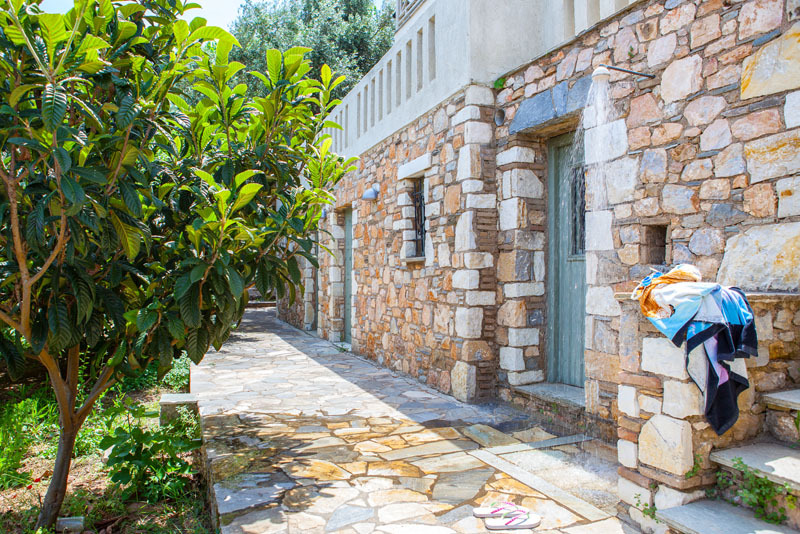 There are beaches on both sides of the village, easily reached after a few minutes’ walk around the bay leading through an olive grove. 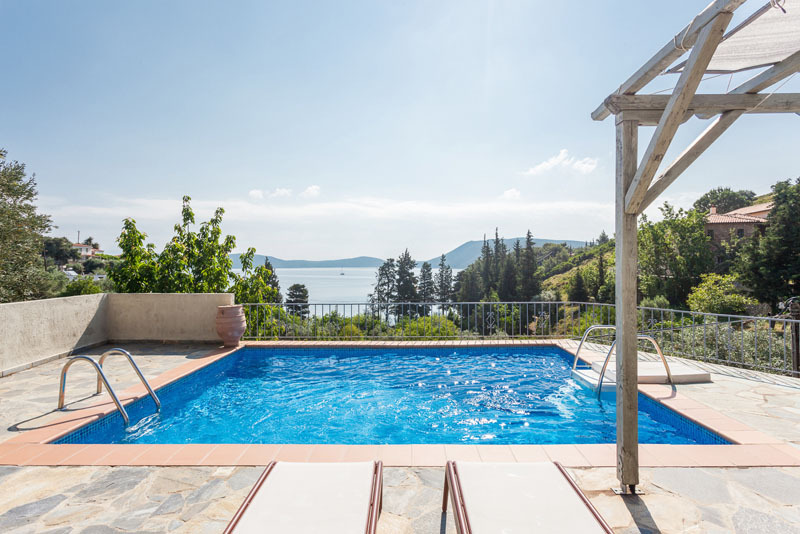 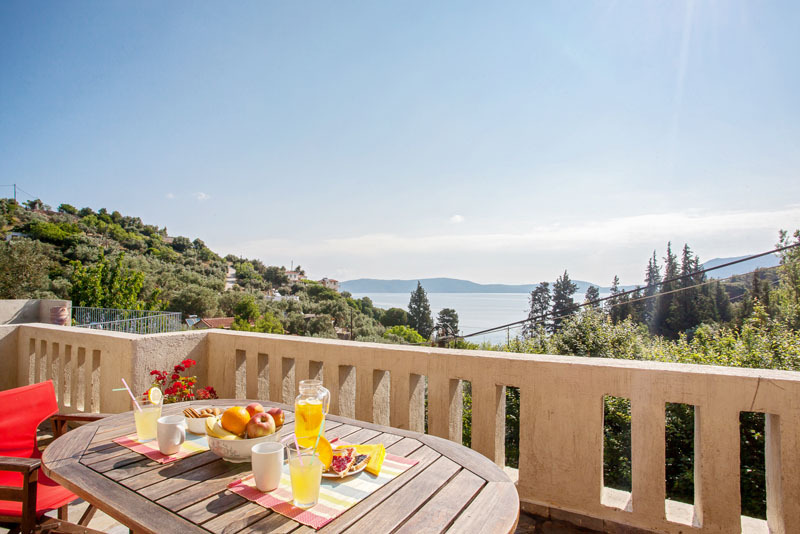 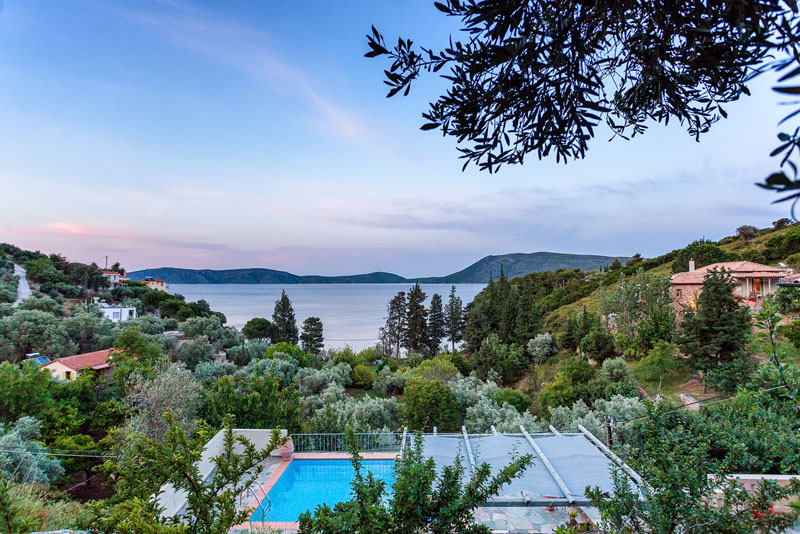 Villa Peristera, set amongst the trees is just a hundred metres from the water’s edge. 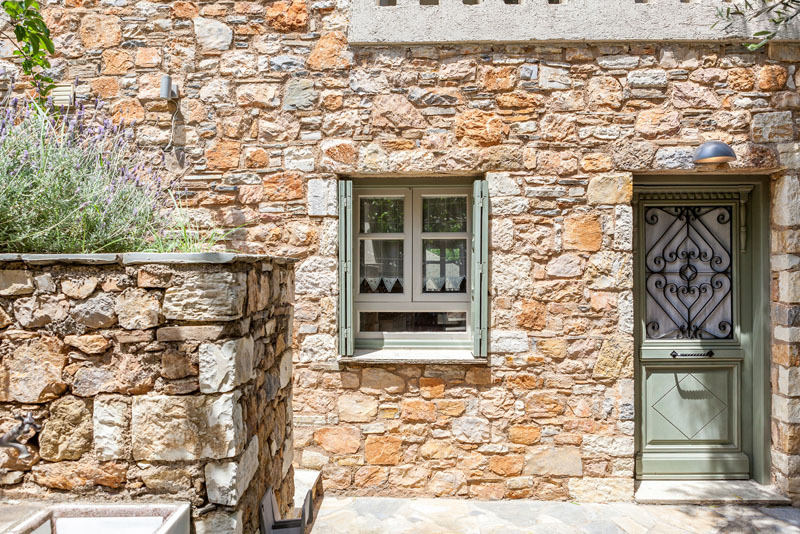 Traditionally designed and built out of local stone, it blends into its surroundings. 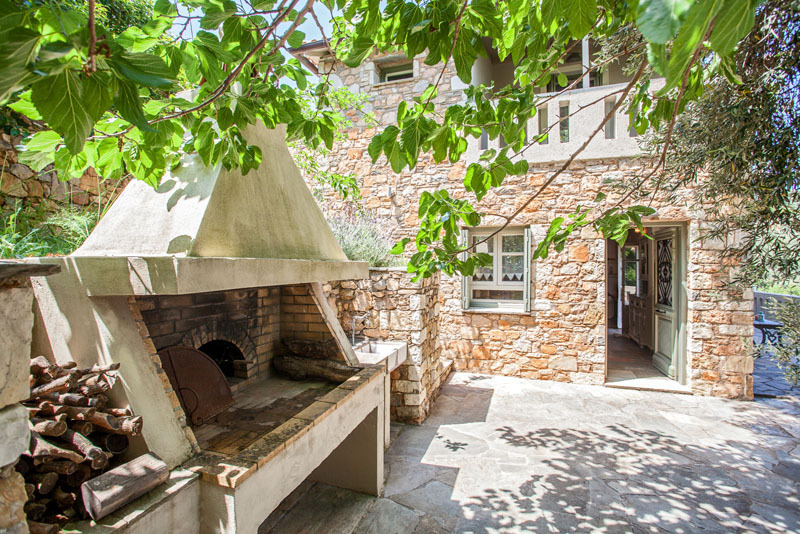 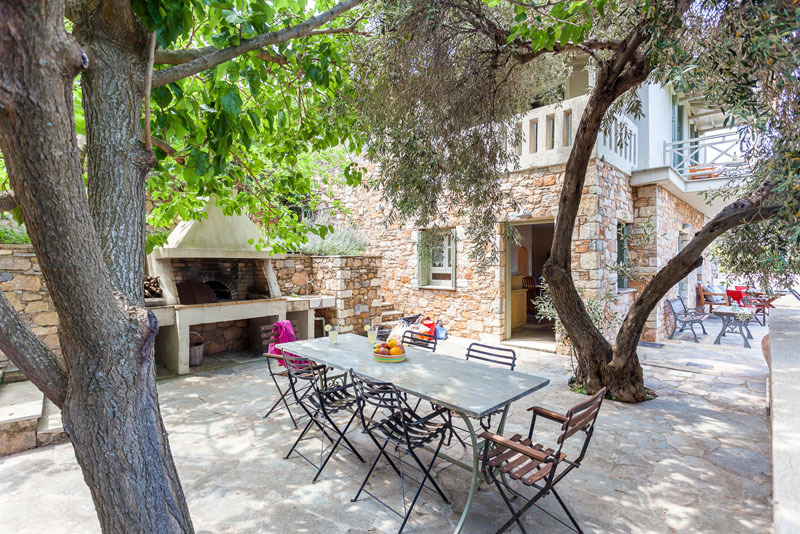 A large olive tree, which unlike its neighbours has been left unpruned, shades the barbecue area with its traditional ‘fournos’ grate, chimney and a stone table. 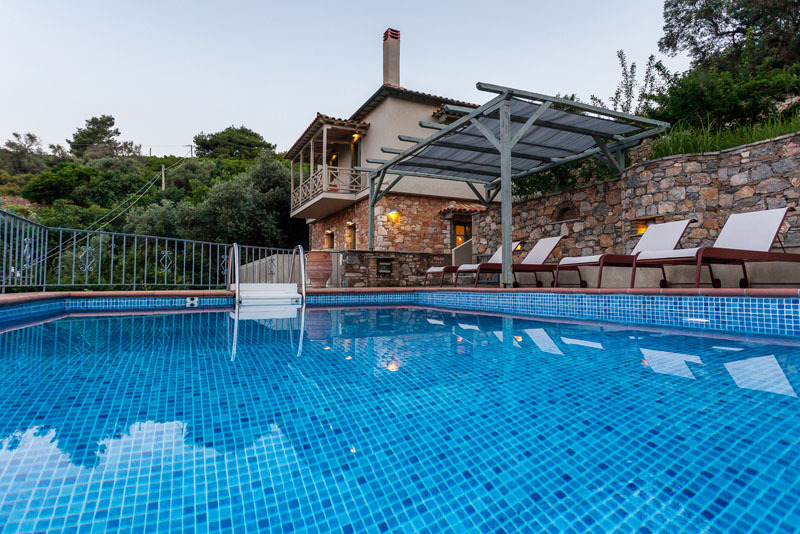 From here a terrace leads in front of the house to the swimming pool. 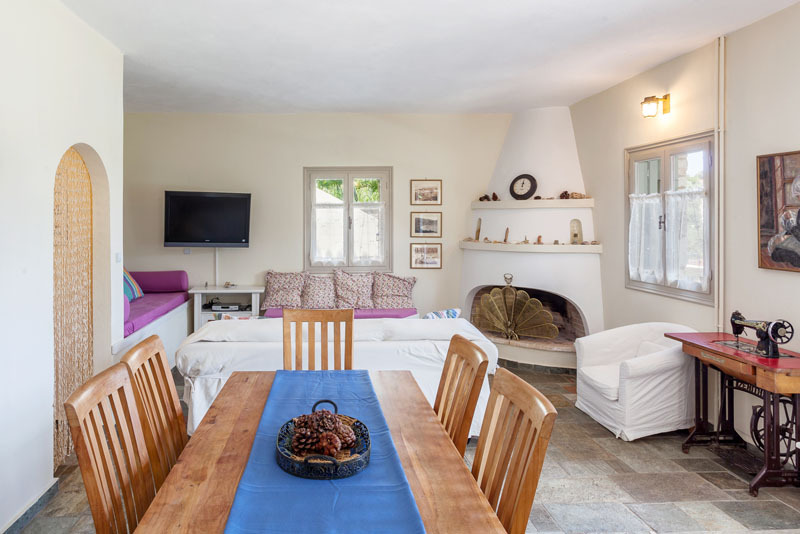 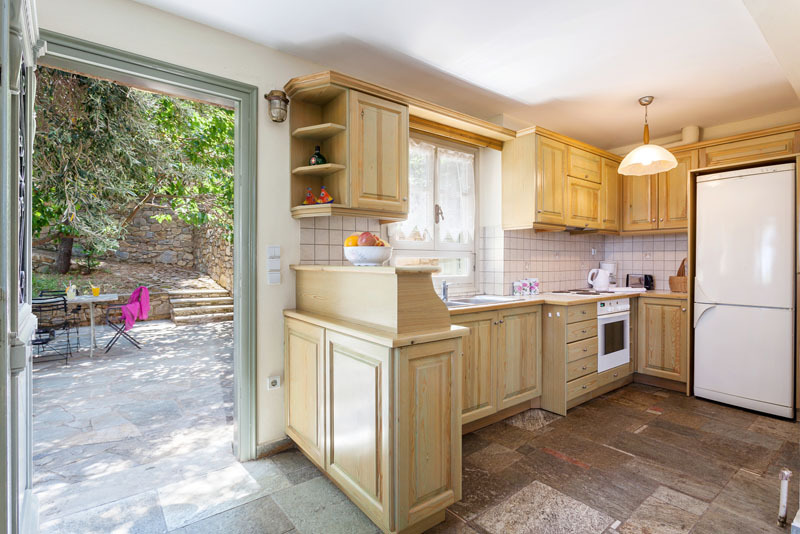 The villa opens into the kitchen area and large cool comfortable living/dining room leading out to the front terrace. 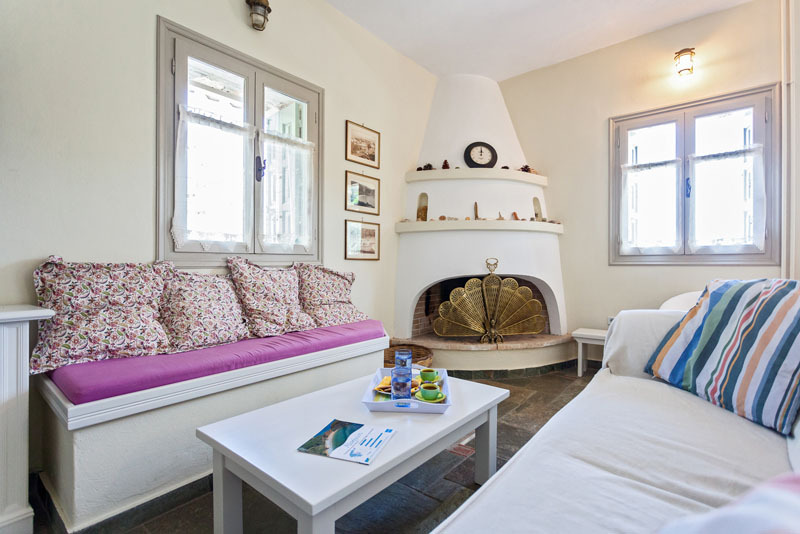 Opposite the fireplace is an alcove with a useful built in single daybed behind a decorative, painted wood screen and a small washroom. 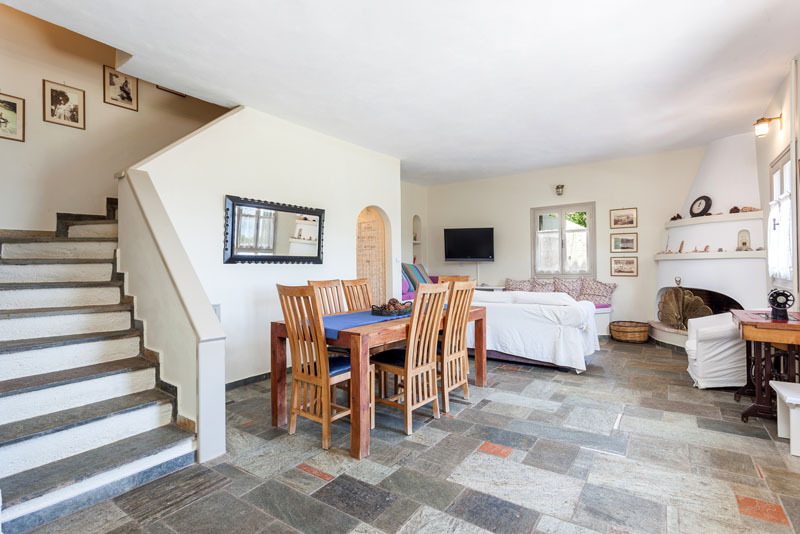 A natural stone staircase leads to the first floor bedrooms. 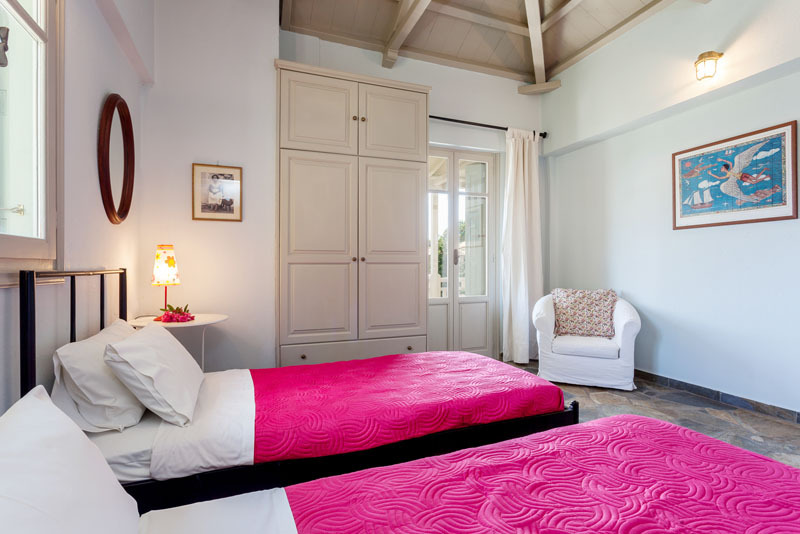 The master double bedroom has an en suite shower room and glorious views from its shaded balcony. 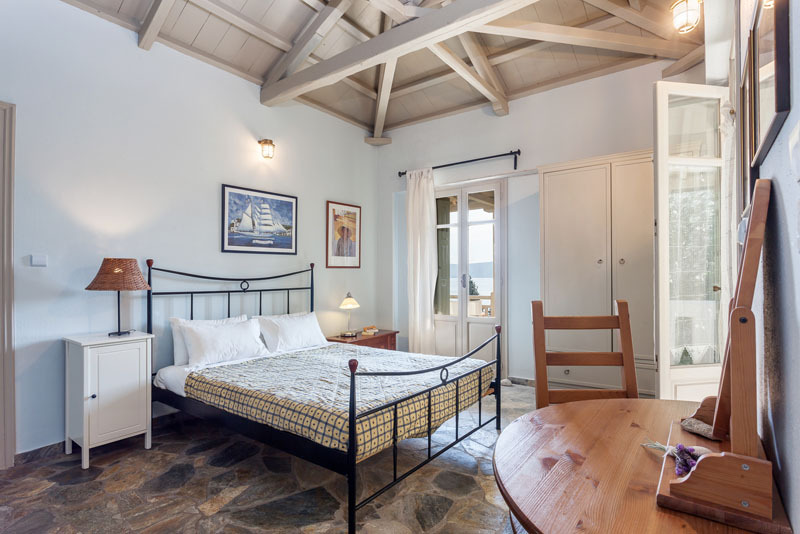 The second bedroom has twin beds with a front and side balcony overlooking the pool. 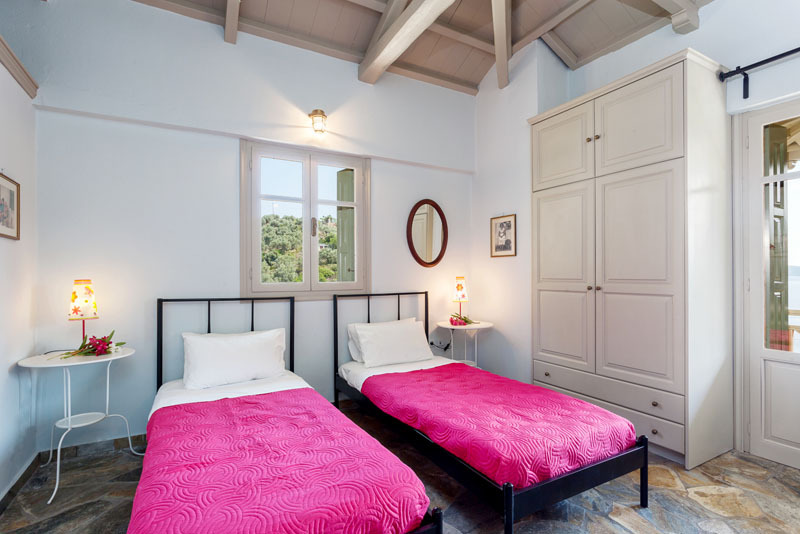 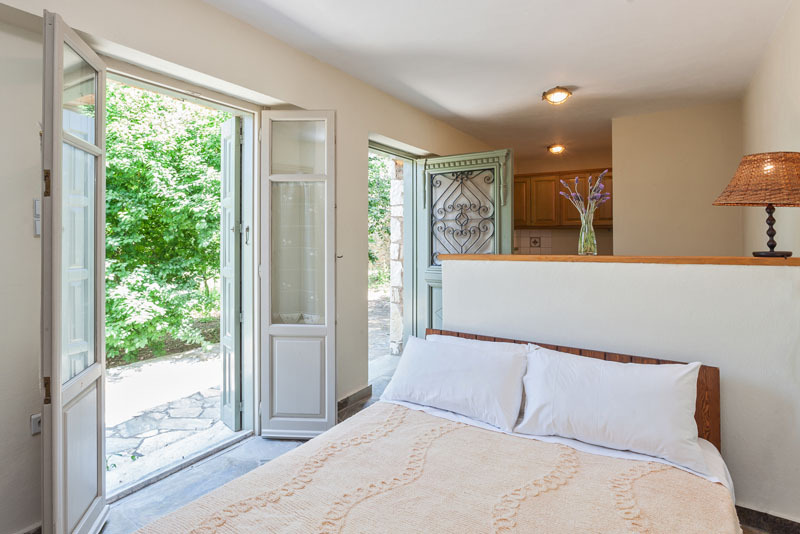 Both bedrooms have high wooden ceilings with open main joists and beams built in the classical Sporadic style, allowing air to circulate freely. 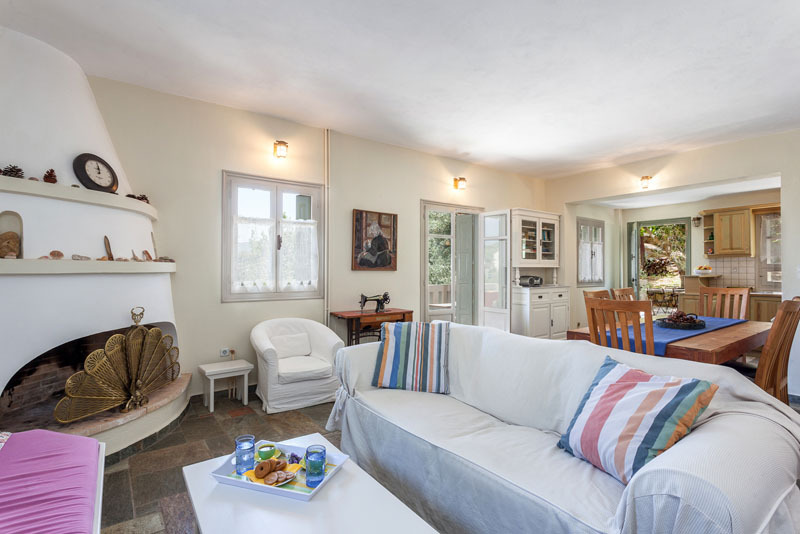 Throughout the house, antique and modern furniture has been carefully chosen and the walls are tastefully decorated with old family portraits and other pictures. 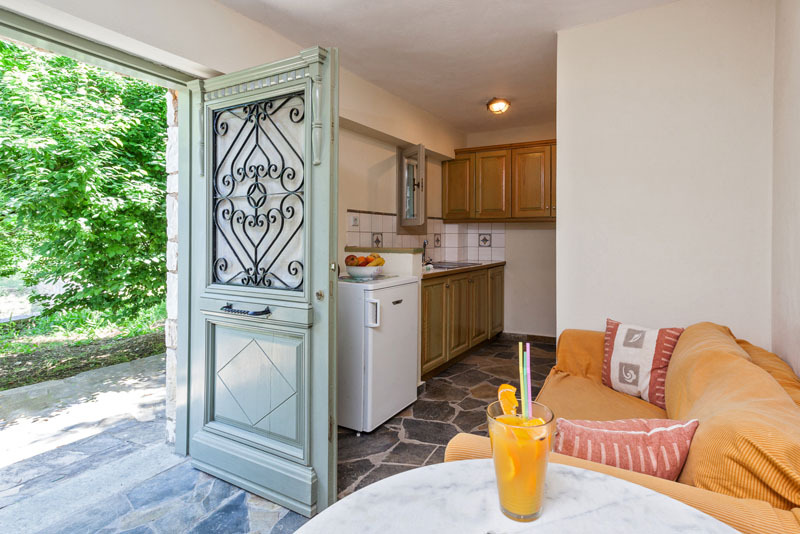 There is also a separate self contained studio with double bed, external access, small kitchenette and living area. 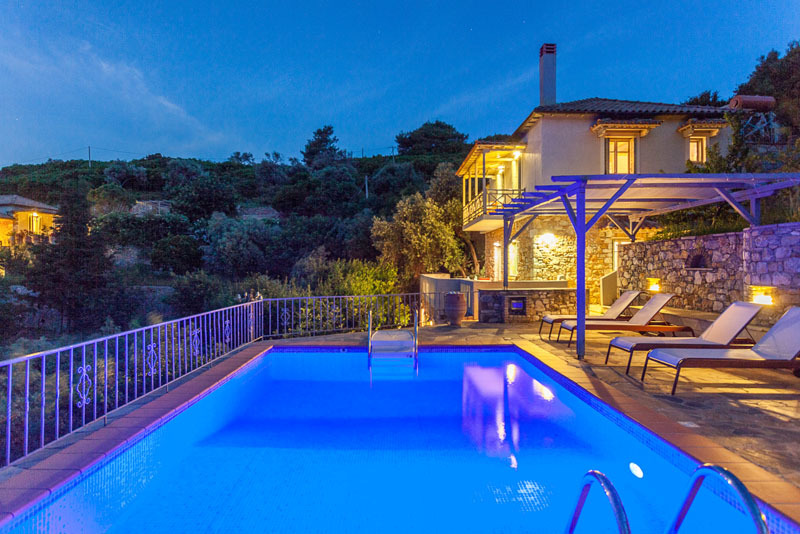 A great place to enjoy rural island life!